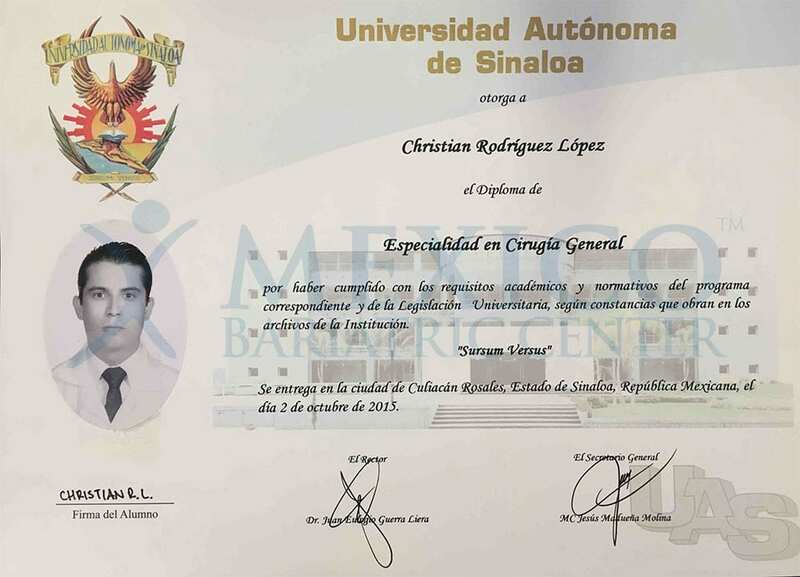 Dr. Christian Rodriguez Lopez is a certified bariatric surgeon practicing in Tijuana, Mexico with excellent bed manners. 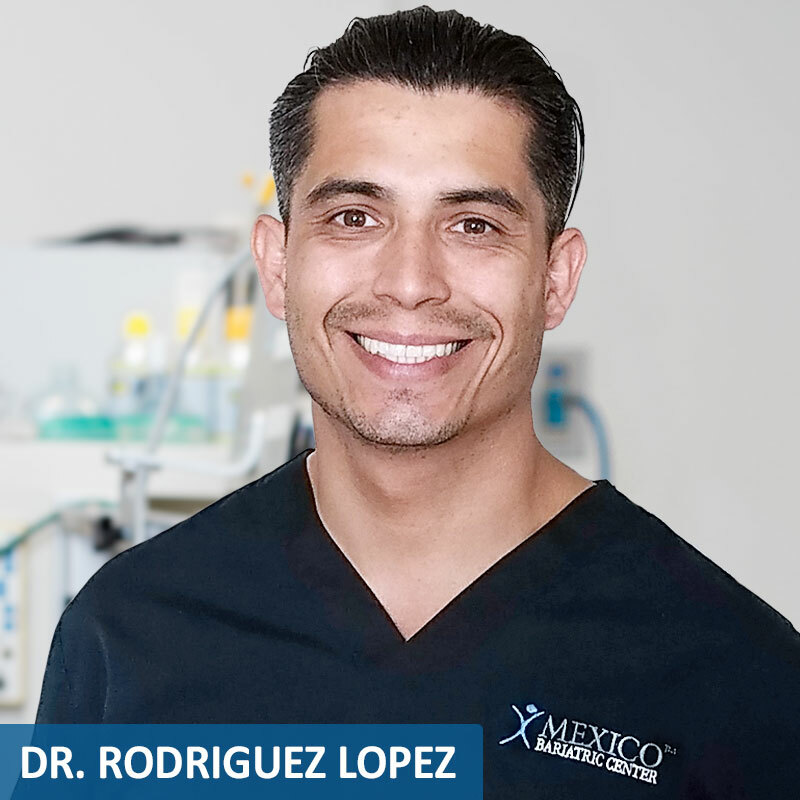 Dr. Rodriguez Lopez is known as “Super Surgeon” for his ability to perform single-incision sleeve surgeries as well as to rescue complicated bariatric surgeries. Dr. Rodriguez Lopez has been performing surgeries since 2014, including Gastric Sleeve (both laparoscopically and with a single incision), RNY Gastric Bypass, Mini Gastric Bypass, Duodenal Switch, Gastric Balloon and Revisional Surgeries to rescue failed surgeries. 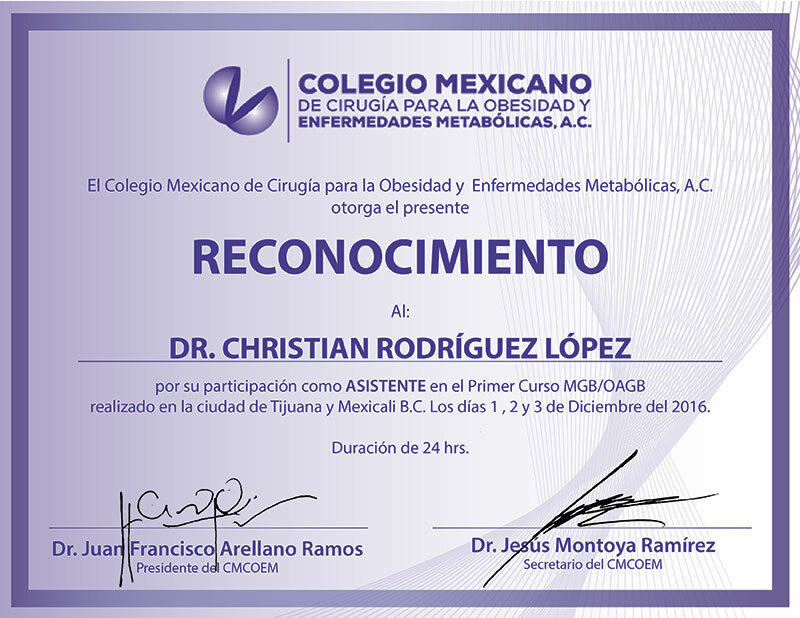 He has worked alongside very many of top bariatric surgeons in Tijuana as well as other cities in Mexico. 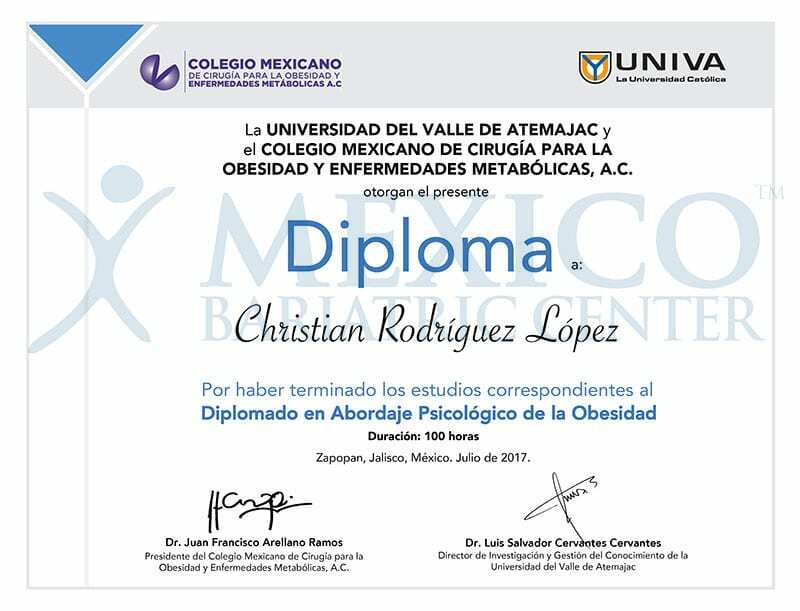 Dr. Rodriguez Lopez works hand in hand with experts in the area of nutrition and psychology for the bariatric patient. Here are the members of his team – Dr. Viridiana de la Herran (Dr. Lopez’s wife), Dr. Salvador Flores Castro, and Dr. Rene Armenta Valenzuela (Dr. Lopez’s assistance surgeon). 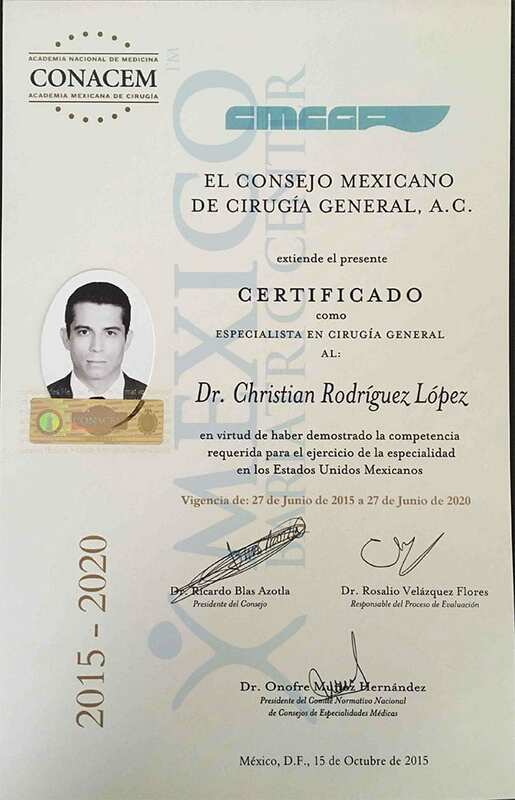 Dr. Christian Rodriguez Lopez studied general medicine at Autonomous University of Baja California, Tijuana from 2002 to 2010 and has performed bariatric surgery since 2014. 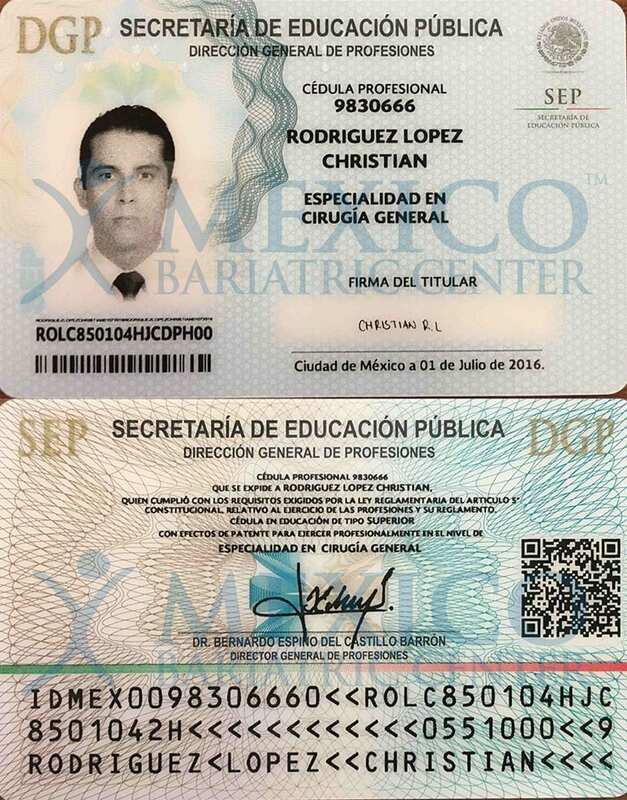 He is a member of the transplant team of the medical unit of high specialty IMSS 71 of Torreón Coahuila as well as Deputy Master of the General Surgery HGZ CMF IMSS 16 Residence in Torreón. Dr. Rodriguez Lopez is a Frequent guest as an exhibitor to National and International Congresses in Matter.